Meatloaf has been a favorite dinner recipe of mine since I was a little kid. Since starting my Keto Diet Menu I haven't had meatloaf because meatloaf isn't meatloaf without ketchup or breadcrumbs, but I have officially found a low carb ketchup and an alternative for breadcrumbs that are Keto Diet approved. In a bowl combine ground beef, chopped onion, egg, pork panko, onion powder, garlic powder, Italian seasoning, salt, pepper and kneed together until well combined. 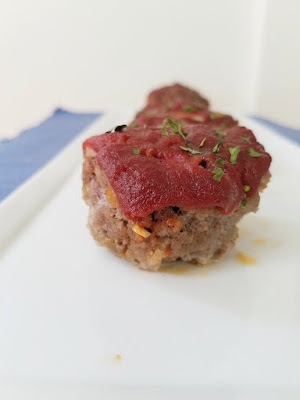 0 Response to "THE BEST KETO MEATLOAF MINIS WITH LOW CARB KETCHUP"